SIMPLY PINCH, TEAR, WICK & VAPE!!! 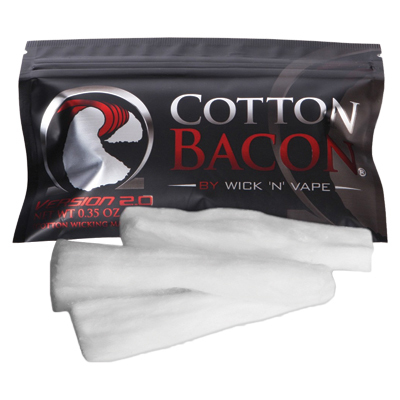 The world's most cutting edge, cleanest and easy to use cotton wick. 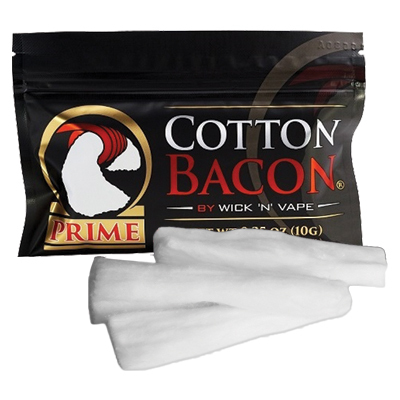 Cotton Bacon Prime outperforms in all areas of wicking. 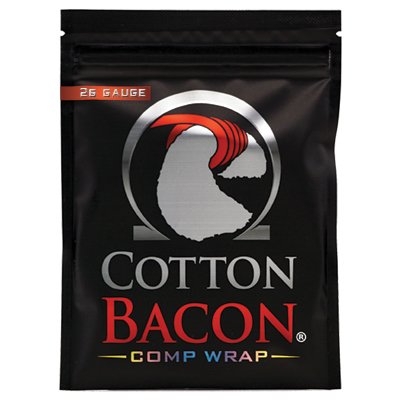 PERFECT FOR SQUONKING & TANKS WITH ANY REBUILD-ABLE DECKS (RDA's & RDTA's). THERE CAN ONLY BE ONE PRIME! Finally the perfect Comp Wire, Specifically designed to be used on more devices. A unique nichrome blend with lower nickel content and added properties of kanthal. Providing optimal ramp time, long pulls and longer life span. Everything you've been waiting for from a comp wire.